What happened to Atari Benelux..
At the bottom of almost every Jaguar game box there's and address in the Netherlands: Hagenweg 7B, Vianen. 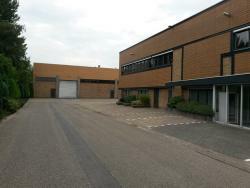 This is where the Atari Benelux headquarters were located in the 90's. When Atari was just out of business in 1996, a Dutch toystore (Intertoys) bought the remaining inventory of 2600, Jaguar, Lynx and games and sold them very cheaply. This was when I bought my Jaguar for about $25,- I remember seeing multiple copies of now rare games (AvP, Atari Karts, Rayman etc.) sold for 10 bucks! (whish I bought them all back then). 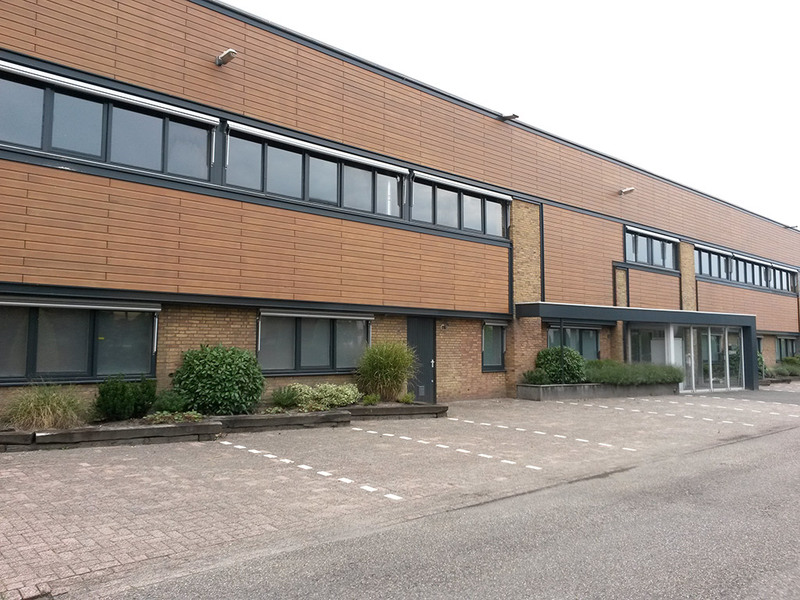 Now, 20 years later I still own all my original Jaguar stuff and made me curious what happened to the Atari Benelux building, since I live in The Netherlands it was about time to make a trip and take a look at what's left of it today. I did some research of how it looked before and found pictures of it. 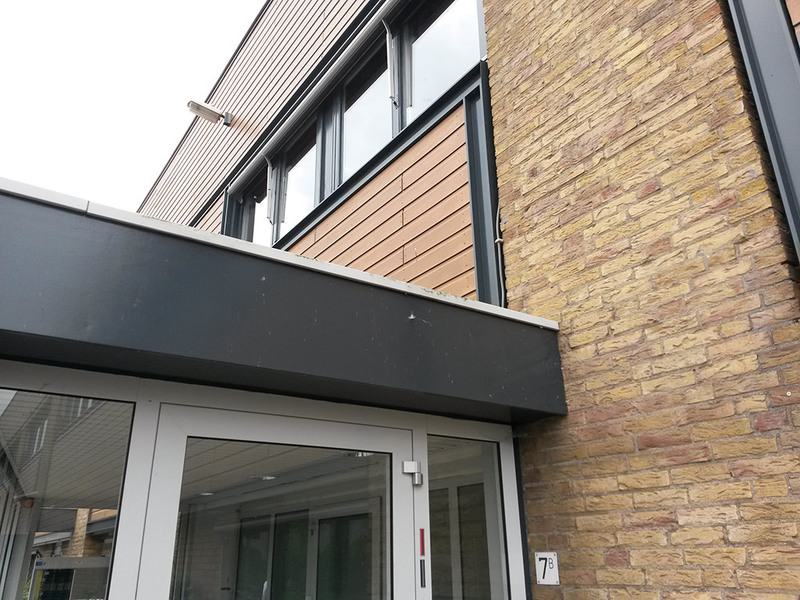 The first thing I noticed that all of the buildings were recently restyled on the outside. The blue metal sheets are replaced by wooden panels. Eveything else looks just the same I think. When Atari was out of business, the building had several companies located but it isn't occupied for a while now. It's always sad to see empty office buildings where once was one of the most known companies in the history of videogames. Does somebody here have pictures of the building when Atari was still here? Thank you for this thread, I always wondered how it would look like. 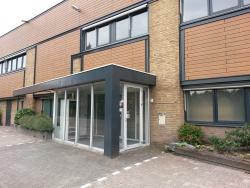 I was visiting friends in the Netherlands with my father around 1995/96 and it was not far from Vianen. I wanted to persuade my fahter to go there but we did stay with the friends. In my childish imagination it would have been like visiting paradise with warehouses full of Jaguar stuff. Little did I know back then that I would look at some bricks and in the best case see an Atari sign somewhere. In any case very interesting to know that they also had inventory. 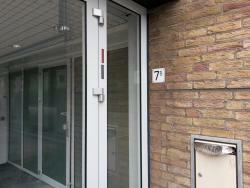 Does anyone know more about what the Netherlands dependance did? I always was under the impression that Atari UK did everything Europe related. Also at one point there was an office in Germany I think but that was closed in the late 80/early 90 if I remember correctly. My dad is from Holland, and my family used to own a huge dry-cleaning business (even did a lot of the laundry for Queen Beatrix's staff). They owned a huge factory in Vassen... or Appeldorn, not sure what the difference is... and a fleet of box-trucks with the logo (and my last name) on the side. It was called Jaspers B.V. Eventually they sold the family business to a company called "InterLin"
So I noticed the company you mentioned is called "Intertoys." I've seen a bunch of companies in Holland that have the name "Inter" in front of it... does that mean anything? I can only swear in Dutch, and know all the Indonesian food names. Other than that... I can't speak Dutch. Does Inter mean anything specific... or is it just like how in a lot of American companies they put "Innertrode" "Innitech" or whatever? Hi, you're right about lot of companies use the word 'inter' in front of it. Most of the time it refers to 'International'. I think in the case of InterToys it's just a name that sounds good. They started in 1979 and have 305 stores. Ah, ok... thought I was on to something! I used to go there every couple of years as a kid. Definitely miss Keukenhof, Kinderdjik, oh... and Maduredam. My cousin used to be the General Manager for Maduredam. And man... 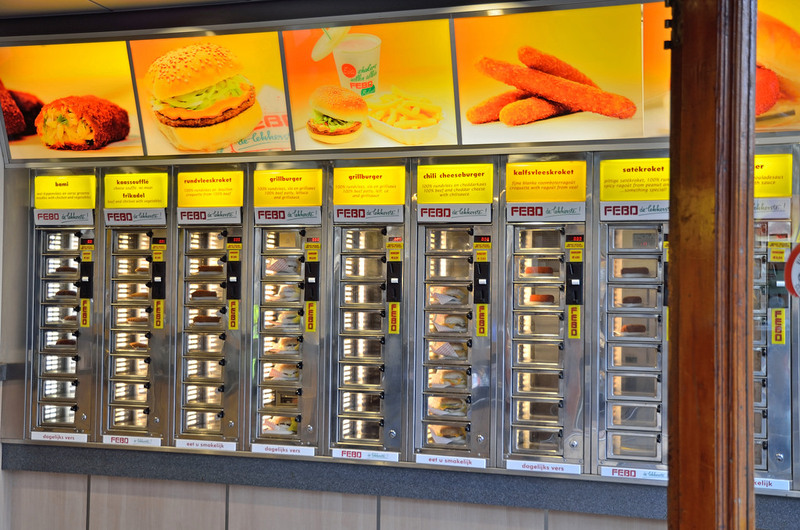 I miss stroopwafles, and pofertjes, and of course... nasigoring, bamigoring, bitterballer (not sure I'm spelling that right)... or a ricestaffle... oh man, with the peanut sauce. Totally awesome. Did any of you see this thread? I miss stroopwafles, and pofertjes, and of course... nasigoring, bamigoring, bitterballer (not sure I'm spelling that right)... or a ricestaffle... oh man, with the peanut sauce. Totally awesome. Oh hell yes...! I appreciate the links, this is awesome!!! I am VERY aware of the Indonesian influence. We learned all about it in grade school here in the US. Back in the day with the Dutch East and West Indies company... you guys brought with you the food as well. Excellent decision I might add, because it's awesome. I will also say... as an American, I very much appreciate the gift of the invention of the stock market and corporate shares as well as building out New York City for us (New Amsterdam). What was the guy's name... Peter Van Styvesant or something. Actually, we also learned in school (in high school) that the Dutch single-handedly brought Europe out of the Dark Ages through maritime trade at a city called Dodrecht (or something). Apparently something about enticing pirates and traders from all over Europe to come to the port in Dodrecht because of the world's oldest profession for women. So we all owe a debt of gratitude to the Dutch, the least of which has to do with the good food. Thanks for the link! I'll try to see if I can actually make something without screwing it up! Awesome...So cool to read about and see this history. But the big sale was in 1995. We (ANG Software/Pokey Foundation) were also invited to make offers on the Atari stock. 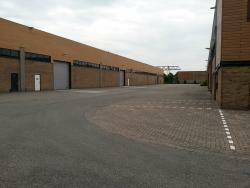 All inventory of all European warehouses was transported to the Benelux headquarters in Vianen. Intertoys bought a lot, but they did not bought everything. ANG/Pokey bought 17 pallets, Atin (another Dutch Atari dealer) bought lots of stuff and also several German companies have bought the European "left-overs"
By the way Intertoys also sold Atari 8-bit systems. an 800XE or 65XE with 10 cartridges and a lightgun for 59.95 guilders (around 40 dollars those days). The Jaguars were sold for 79 guilders. In those days I contacted Intertoys to include flyers of the Pokey Foundation Magazine with their 8-bits to get new subscribers for our magazine. So the European stock was purchased by several companies from The Netherlands and Germany. I was allowed to take some of the merchandising out of their offices. I really wish that I made some pictures that day. There were hundreds of pallets there. All wrapped in dark plastic, so you could not see all the contents. 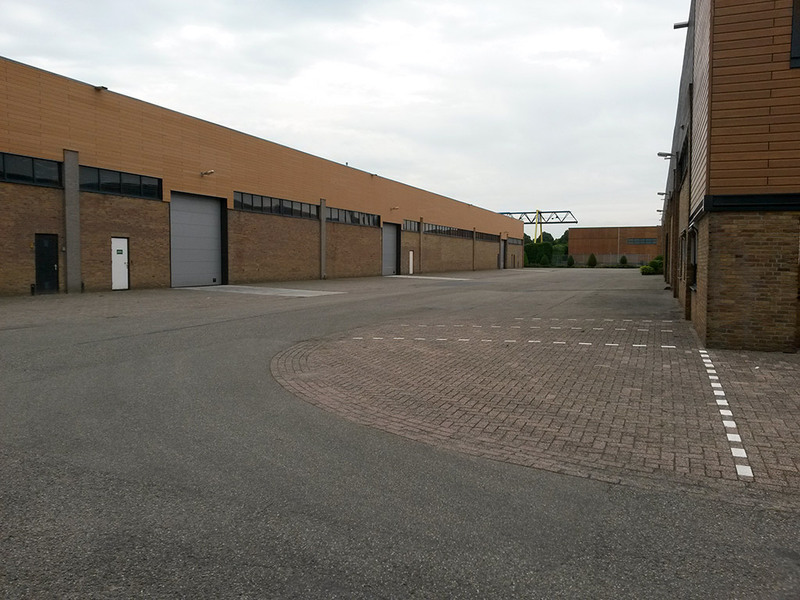 Atari did move most of their inventory (centralised) to the Netherlands in 1993. 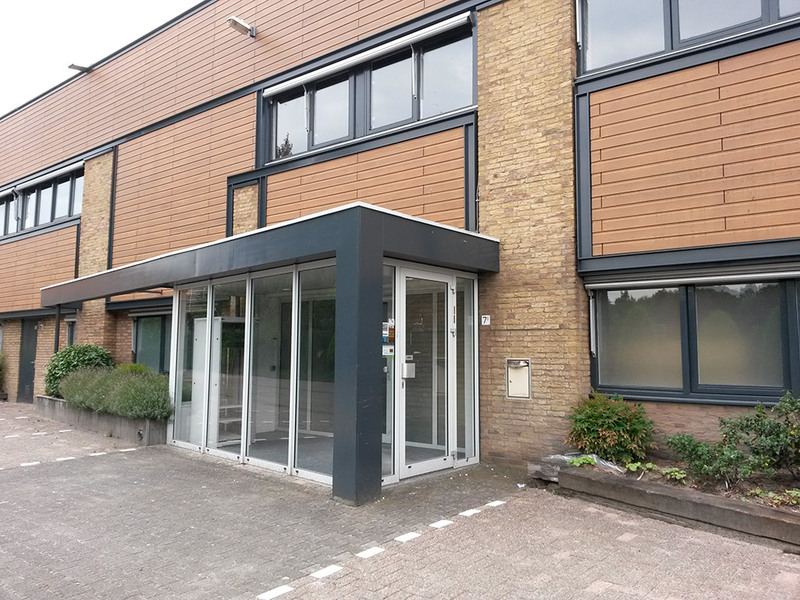 Germany was managed and supplied with hardware from Atari's Dutch HQ. I know that German retailers Digital Data Deicke and Softwareservice Seidel bought some of Atari's inventory. Suddenly you would start to see hardware they usually didn't sell, including VCS consoles, 8 bit computers and Atari calculators. The ad is from Falke Verlag, publisher of the Atari Inside (online article archive at stcarchiv.de). They probably got their stock from Seidel. 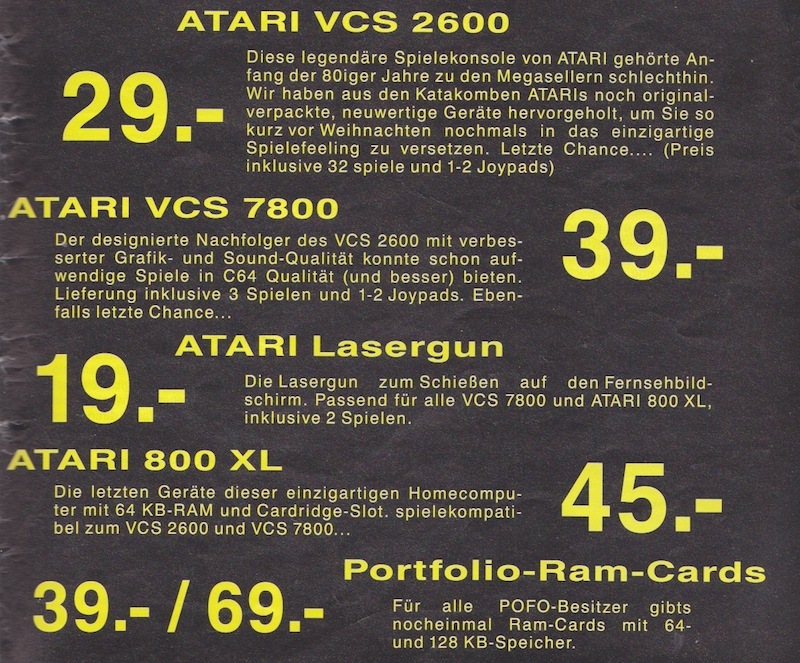 They sold a VCS7800 with three games for 39 DM, and an Atari 800XL ("compatible with VCS2600 und 7800 games") for 45 DM. I only picked up stuff I was interested anyway - a big Portfolio package including the drive, an Atari XL with light gun to play Bug Hunt and a Lynx II. Thanks Fred! Very interesting story, I didn't know that. In the late 90's I bought a lot of games from a German seller, probably the one that bought the the remaining stock. It looks like it's the same building. 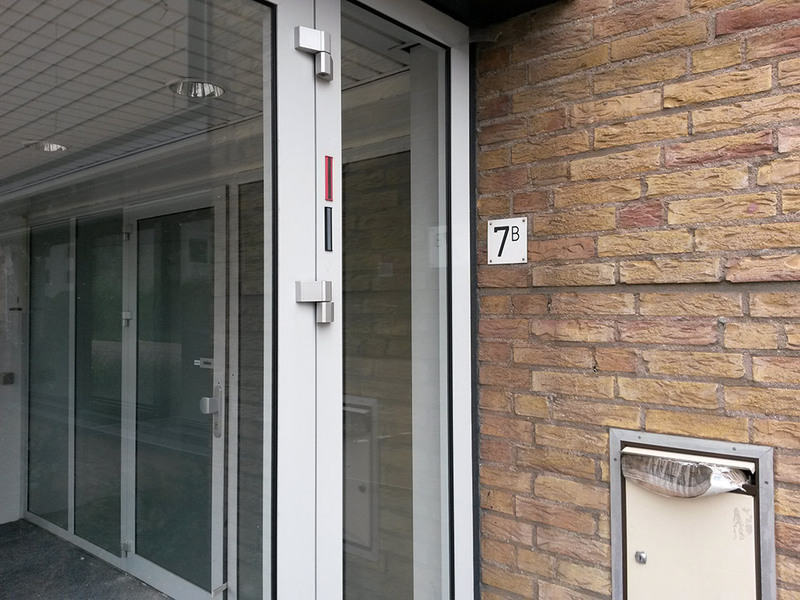 MegaSellers was also located at Hagenweg 7B. Is this how you remember the building, with the blue metal panels? Well, it is a very long time ago It looks very familiar. Also thanks to kimchepenguin, I am going to download that ad! 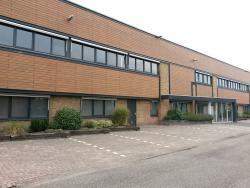 And a couple of years earlier Atari Netherlands (Benelux) was already the European warehouse for broken Atari stuff. Ok, I know... I'm going off on a tangent here again, but there's a ton of Dutch people so I just wanted to follow-up on this. My dad came to visit a couple of weeks ago, and he made a huge rijsttafel for my daughter's First Communion. It was awesome... it was all there... the fried bananas, Nasi goreng, bami goreng, biter-baller, sate, kroopook, hard-boiled egg halves with peanut sauce on them, I mean... you name it, he had it. It was awesome. And then we had ice cream with stroopwafels! The left overs were better even the second day. Blokker holding is indeed owner of Maxi Toys but only since 1997 thus after the Atari warehouse liquidation. So that they sold Atari Jaguar stuff in 1995 has probably nothing to do with having Intertoys as a sister company. And also Falke Verlag and Media Markt Germany sold the "left-overs" of Atari Europe. Edited by Fred_M, Tue May 23, 2017 9:07 AM. 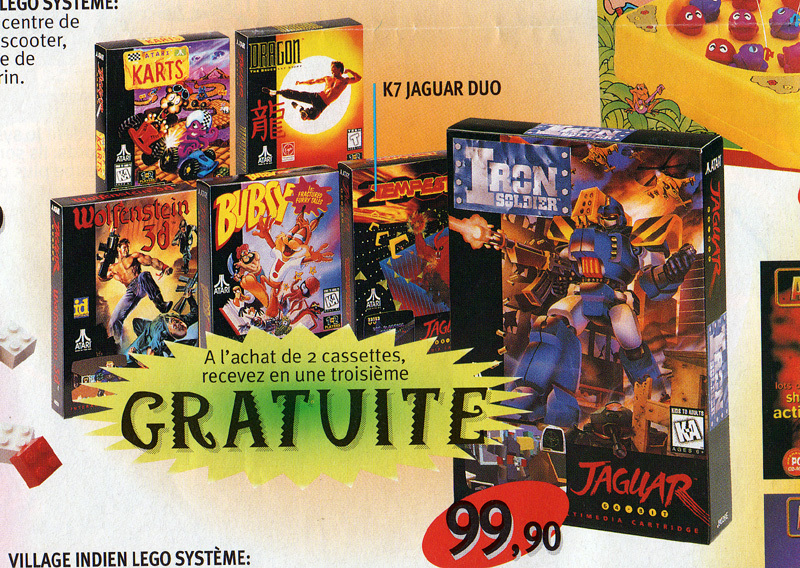 I don't know if they were selling Jaguar stuff in 1995, but MaxiToys (at least in France) definitely sold games and consoles at low prices in the late 90s/early 2000s. So this is probably not a coincidence. 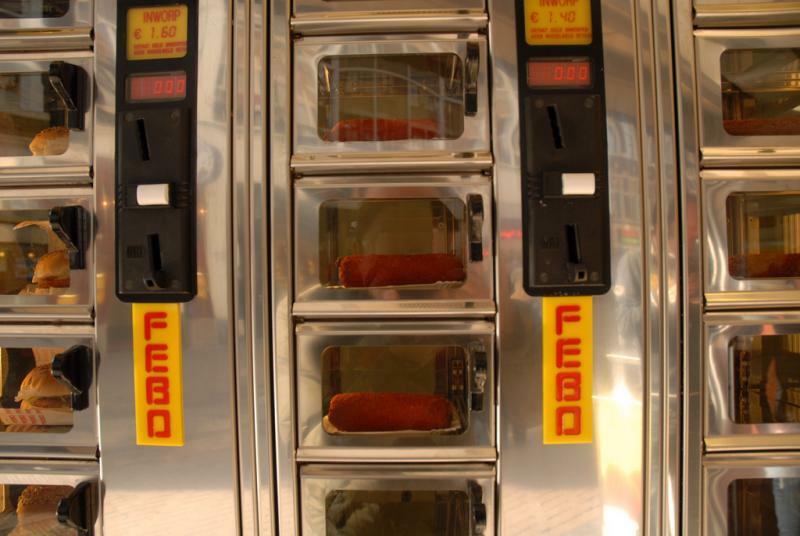 When you happen to be in The Netherlands, we should meet and order a rijsttafel. I know that each Intertoys shop had lots of 2600, Jaguar, Lynx and 800XE systems and games. At that time I still had a student travel card so I went to quite a few Intertoys to pick-up games. So it would not surprise me that they had a first choice at the liquidation sale. Unfortunately they didn't have 7800 system or games. I only found one misplaced 7800 game in the crate(s) with 2600 games. No long before Intertoys had all the Atari stuff, I picked up a 7800 at the HCC computer show were one stand had lots of 7800 systems but no games. Curious, as far as I remember, Intertoys only sold the Atari stuff for a couple of months. Maybe they shipped what was left over to France when MaxiToys became part of the same parent company. But as far as I remember the piles of Atari stuff at Intertoys shrunk steadily and were not suddenly gone so I wonder how much was left.